Wrestlers "borrow" from each other all the time. For example, nearly everybody who does a frog splash stole it from Eddie Guerrero, and he took it from Art Barr. The Big Show started his career as a less French version of Andre the Giant. TNA even stole WCW's gimmick of letting Vince Russo ruin their company. But for every Ric Flair - who took the "Nature Boy" persona from Buddy Rogers but unquestionably made it his own - there are a hundred unabashed rip-offs who exist only to be a worse version of a good thing. They're the Transmorphers of the wrestling world, subsisting entirely off of fans who weren't paying enough attention when they bought a ticket to a show. So if you've ever been tricked by a Samoa Moe, a Thundertaker or a CM Funk, you can at least take solace in the fact that you aren't the only one - this nonsense has been going on for years. In the late '80s, WCW decided to fight back against the WWF's iconic megastar Hulk Hogan in the pettiest, most impotent way possible: with a knock-off version that looked like your weird uncle cosplaying as the WWF Champion. And, also like your weird uncle, he was named Randy. 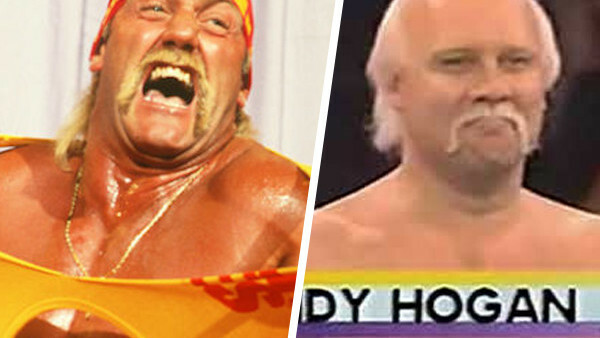 If you tried to make Hulk Hogan in create-a-wrestler mode but kept a bunch of default settings, you'd end up with Randy Hogan. He had the bald head, the bleached hair on the sides, and the blond Fu Manchu, but everything else about him was... off. He was shorter than Hulk and lacked his signature tan, with a complexion that could best be described as Silly Putty. 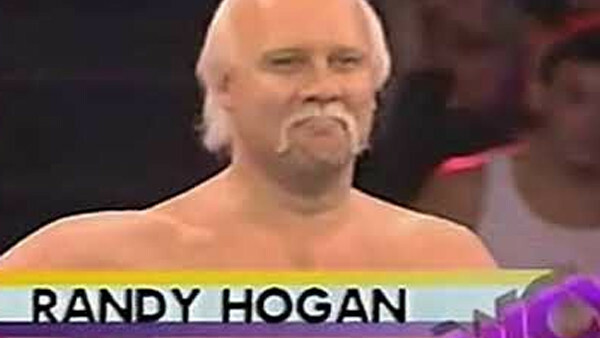 None of this was important, of course - Randy Hogan was seemingly only on the roster so WCW management could watch "Hogan" job out to their top stars like Vader and Sting. Randymania would continue to run mild over WCW until 1994, shortly before The Hulkster himself finally signed with the promotion. Sadly, this meant that we never got to see Hogan vs. Hogan headline Starrcade in a match that would've surely drawn hundreds of dollars for WCW. Jeff Silvers is a freelance comedy writer and recipient of several prestigious participation certificates.